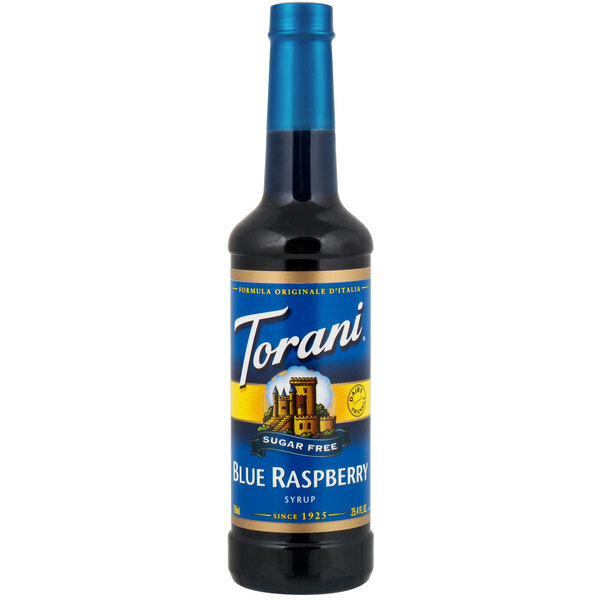 Bring all new flavors to your specialty drink menu with this Torani sugar free blue raspberry flavoring syrup! It's sweetened with Splenda brand sweetener, which offers the taste of real sugar without the calories. This tempting flavor will complement your beverages without overpowering them or being too sweet, while the user-friendly bottle will be convenient for your busy baristas to use. 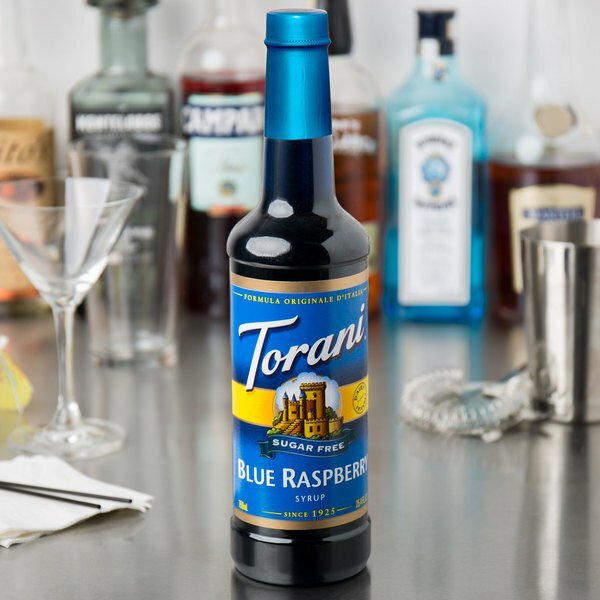 Torani flavoring syrups are specially formulated to resist curdling in milk and to hold up well under heat, making them the perfect choice for espresso-based drinks, brewed coffee or tea, and more. 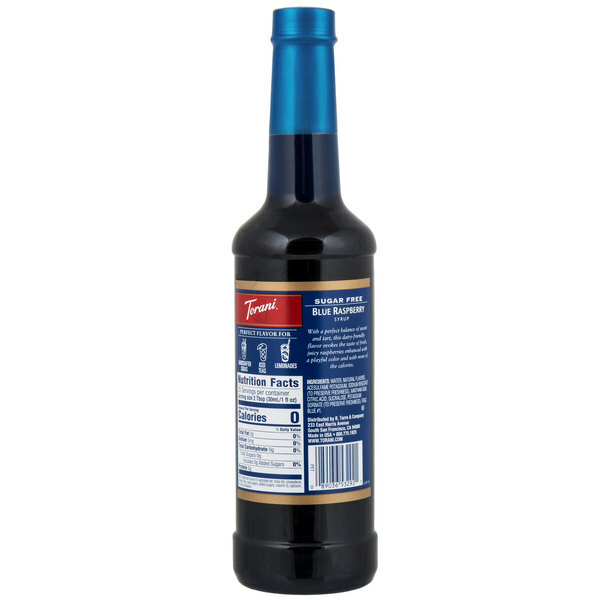 Use this flavor for Use this flavor for hot or iced teas, sodas, smoothies, and even baking! Infuse your drinks with the sweet, classic taste of raspberries without the sugar with this flavoring syrup. The taste of fresh raspberries combined with the electric blue color make this a hit amongst children and adults alike! Use it to create your own sugar free electric lemonade, sugar free blue raspberry snow cone, or sugar free Italian soda. We highly recommend Torani and Webstaurant.com is the place to buy it. This sugar free syrup is the best. The flavor is bold with no after taste. Blue raspberry syrup mixed with coconut syrup and sprite tastes like a ocean water slush at sonic. So yummy. I recommend you pick up a few flavors and let you imagination go wild!